Thick and Thin Family Box Sign, by The Hearthside Collection. Painted a mustard tan color with subtle lettering in the background - quote printed on vintage style text paper and decoupaged to front. Reads: Family will love you through thick and thin. Measures 7.75 x 6 x 1 inches. Hangs or sits. As with all Hearthside signs, this is intentionally rustic and distressed for a primitive look. Alone Standing Box Sign, by The Hearthside Collection. Has a rustic printed burlap background. Reads: Alone you can't, together we can - God. Measures 8 x 6 inches. Hangs or sits. As with all Hearthside sign, this is rustic and distressed, adding to the individual charm. Dream Vintage Sign, a Barbara Lloyd design for The Hearthside Collection. Sold individually - Choose the Left ("Someday everything will all make perfect sense") or Right ("My family reminds me that goodness exists in the world"). 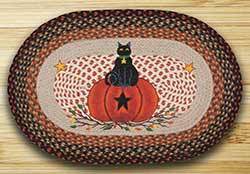 Be So Happy Wall Plaque, a Barbara Lloyd design for The Hearthside Collection. This box-style plaque reads "Be so happy that when others look at you, they become happy too!" Sold individually - Choose the Oatmeal color on the left, or the Mustard color on the right. Measures 8 x 6 inches. 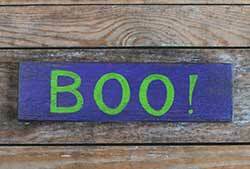 Made of painted pressed wood, intentionally aged and distressed for a rustic look. Breathe Wall Plaque, a Barbara Lloyd design for The Hearthside Collection. This box-style plaque reads: Sometimes it's okay if all you did today was breathe. This for the BLACK plaque. Measures 8 x 6 inches. As with all Hearthside signs, this is rustic and distressed, adding to the individual charm. Also available in other colors! Breathe Wall Plaque, a Barbara Lloyd design for The Hearthside Collection. This box-style plaque reads: Sometimes it's okay if all you did today was breathe. This for the BROWN plaque. Measures 8 x 6 inches. As with all Hearthside signs, this is rustic and distressed, adding to the individual charm. Also available in other colors! Breathe Wall Plaque, a Barbara Lloyd design for The Hearthside Collection. This box-style plaque reads: Sometimes it's okay if all you did today was breathe. This for the BURGUNDY plaque. Measures 8 x 6 inches. As with all Hearthside signs, this is rustic and distressed, adding to the individual charm. Also available in other colors! Breathe Wall Plaque, a Barbara Lloyd design for The Hearthside Collection. This box-style plaque reads: Sometimes it's okay if all you did today was breathe. This for the TAN plaque. Measures 8 x 6 inches. As with all Hearthside signs, this is rustic and distressed, adding to the individual charm. Also available in other colors! Family Standing Box Sign, by The Hearthside Collection. Designed by Barbara Lloyd, featuring distressed fonts and stamped textures. Reads: "Family...the moments, the memories, the happiness, the love." 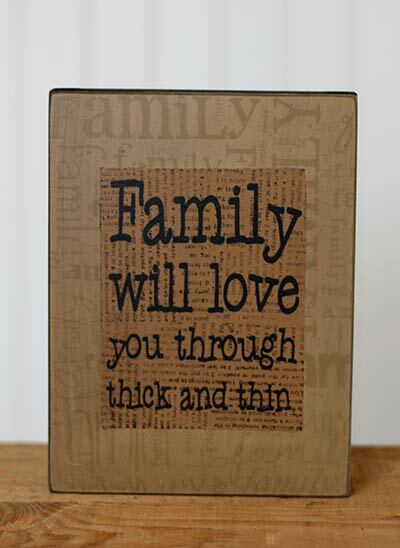 Thick and Thin Family Box Sign, by The Hearthside Collection. Painted a mustard tan color with subtle lettering in the background - quote printed on vintage style text paper and decoupaged to front. Reads: Family will love you through thick and thin. You Will Be Loved Family Box Sign, by The Hearthside Collection. Painted a mustard tan color with subtle lettering in the background - quote printed on vintage style text paper and decoupaged to front. Reads: Being a family means you will love and be loved for the rest of your life. Family Definition Sign, a Barbara Lloyd design for The Hearthside Collection. This box-style plaque features rustic lettering spelling out "Family," plus an inspirational definition. Background is black with light colored lettering. Measures 6 x 6 inches. As with all Hearthside signs, this is rustic and distressed, adding to the individual charm. This small wood sign features rustic lettering spelling out "Friend," plus an inspirational definition. History Standing Box Sign, by The Hearthside Collection. Has a rustic printed burlap background. Reads: You're pretty much my most favorite of all time in the history of forever. I Love You More Today Sign, by The Hearthside Collection. Small wooden sign, makes a great gift, accent for a small space, office desk decor, etc. This one reads: "I love you more today than I did yesterday because yesterday you really ticked me off." I Think I Can Wall Plaque, a Barbara Lloyd design for The Hearthside Collection. This box-style plaque reads: I think I can...I knew I could. Measures 8 x 6 inches. Made of painted pressed wood, intentionally aged and distressed for a rustic look. I Think I Can Wall Plaque, a Barbara Lloyd design for The Hearthside Collection. This box-style plaque reads: I think I can...I knew I could. This one is a light tan, the color of oatmeal. Measures 8 x 6 inches. Made of painted pressed wood, intentionally aged and distressed for a rustic look. Judge Standing Box Sign, by The Hearthside Collection. Has a rustic printed burlap background. Reads: Only God can judge me. Measures 8 x 6 inches. Hangs or sits. As with all Hearthside signs, this is rustic and distressed, adding to the individual charm. Life Standing Box Sign, by The Hearthside Collection. Has a rustic printed burlap background. Reads: Life is better with great friends to share it with. Measures 8 x 6 inches. Hangs or sits. As with all Hearthside signs, this is rustic and distressed, adding to the individual charm. 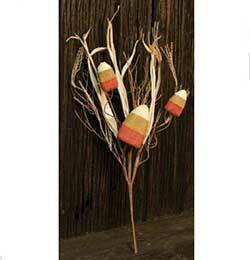 Like to be the Friend Wood Wall Decor, a Barbara Lloyd design for The Hearthside Collection. This box-style plaque reads: I'd like to be the sort of friend that you have been to me. Great gift for that special friend! Mama Said Wall Plaque, a Barbara Lloyd design for The Hearthside Collection. This box-style plaque reads "Mama said there'd be days like this." This one is black with tan lettering. Measures 8 x 6 inches. Made of painted pressed wood, intentionally aged and distressed for a rustic look. Mama Said Wall Plaque, a Barbara Lloyd design for The Hearthside Collection. This box-style plaque reads "Mama said there'd be days like this." This one is Red with tan lettering. Measures 8 x 6 inches. Made of painted pressed wood, intentionally aged and distressed for a rustic look. Mountain is Waiting Wall Plaque, a Barbara Lloyd design for The Hearthside Collection. This box-style plaque reads: Today is your day, your mountain is waiting. This one is black colored with light tan lettering. Measures 8 x 6 inches. Made of painted pressed wood, intentionally aged and distressed for a rustic look. Hangs or sits. Mountain is Waiting Wall Plaque, a Barbara Lloyd design for The Hearthside Collection. This box-style plaque reads: Today is your day, your mountain is waiting. This one is burgundy colored with light tan lettering. Measures 8 x 6 inches. 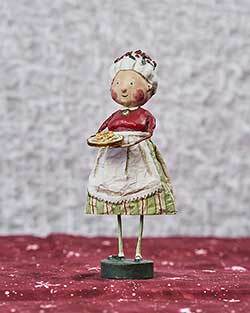 Made of painted pressed wood, intentionally aged and distressed for a rustic look. Hangs or sits. 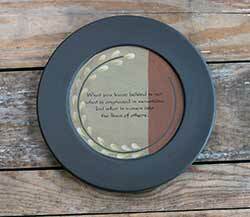 Mountain is Waiting Wall Plaque, a Barbara Lloyd design for The Hearthside Collection. This box-style plaque reads "Today is your day, your mountain is waiting." This one is oatmeal colored (a light tan) with black lettering. Measures 8 x 6 inches. Made of painted pressed wood, intentionally aged and distressed for a rustic look. Mountain is Waiting Wall Plaque, a Barbara Lloyd design for The Hearthside Collection. This box-style plaque reads "Today is your day, your mountain is waiting." This one is Tan colored (a mustard-like brown) with black lettering. Measures 8 x 6 inches. Made of painted pressed wood, intentionally aged and distressed for a rustic look. Old Days Standing Box Sign, by The Hearthside Collection. Has a rustic printed burlap background. Reads: Dear good old days - I miss you. Measures 8 x 6 inches. Hangs or sits. As with all Hearthside signs, this is rustic and distressed, adding to the individual charm. Once Standing Box Sign, by The Hearthside Collection. Has a rustic printed burlap background. Reads: You only live once. Measures 8 x 6 inches. Hangs or sits. As with all Hearthside signs, this is rustic and distressed, adding to the individual charm. Pray Standing Box Sign, by The Hearthside Collection. Has a rustic printed burlap background. Reads: I pray that you know how long, how high, and how deep is the love of Jesus. Measures 8 x 6 inches. Hangs or sits. As with all Hearthside signs, this is rustic and distressed, adding to the individual charm. Primitive Love Box Sign, by The Hearthside Collection. Designed by Barbara Lloyd, featuring distressed fonts and stamped textures. Reads: "I loved you yesterday, I love you still; I always have, I always will." Rainbows Standing Box Sign, by The Hearthside Collection. Has a rustic printed burlap background. Reads: Count your rainbows, not your storms. Measures 8 x 6 inches. Hangs or sits. As with all Hearthside signs, this sign is intentionally aged and distressed for an antiqued rustic look. Runs Standing Box Sign, by The Hearthside Collection. Has a rustic printed burlap background. Reads: this family runs on love. Measures 8 x 6 inches. Hangs or sits. As with all Hearthside sign, this is rustic and distressed, adding to the individual charm. See Others Wall Plaque, a Barbara Lloyd design for The Hearthside Collection. This box-style plaque reads "Lord Jesus, Please help me to see others through your eyes." 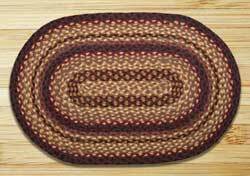 Sold individually - Choose the Oatmeal color on the left, the Mustard color in the middle, or the Burgundy color on the right. Measures 8 x 6 inches. Made of painted pressed wood, intentionally aged and distressed for a rustic look (purposefully imperfect!). Other signs available! Smiles Standing Box Sign, by The Hearthside Collection. Has a rustic printed burlap background. Reads: The best things in life are free...friends, family, laughter, smiles, hugs, sleep, rainbows, love. Measures 8 x 6 inches. Hangs or sits. As with all Hearthside sign, this is rustic and distressed, adding to the individual charm. 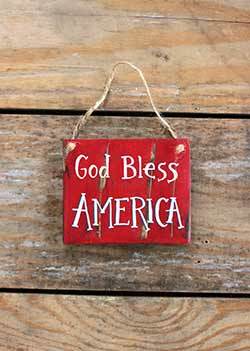 Thank God Wall Plaque, a Barbara Lloyd design for The Hearthside Collection. This box-style plaque reads: "Thank you God for blessing much more more than I deserve." This one is Black. Measures 8 x 6 inches. Made of painted pressed wood, intentionally aged and distressed for a rustic look. Other phrases and colors available! Thank God Wall Plaque, a Barbara Lloyd design for The Hearthside Collection. This box-style plaque reads: "Thank you God for blessing much more more than I deserve." This one is Burgundy. Measures 8 x 6 inches. Made of painted pressed wood, intentionally aged and distressed for a rustic look. Other phrases and colors available! Thank God Wall Plaque, a Barbara Lloyd design for The Hearthside Collection. This box-style plaque reads: "Thank you God for blessing much more more than I deserve." This one is a light tan, the color of oatmeal. Measures 8 x 6 inches. Made of painted pressed wood, intentionally aged and distressed for a rustic look. Other phrases and colors available! Thank God Wall Plaque, a Barbara Lloyd design for The Hearthside Collection. This box-style plaque reads: "Thank you God for blessing much more more than I deserve." This one is a mustard/tan color. Measures 8 x 6 inches. Made of painted pressed wood, intentionally aged and distressed for a rustic look. Other phrases and colors available! Worries Standing Box Sign, by The Hearthside Collection. Has a rustic printed burlap background. Reads: God is bigger than your worries. 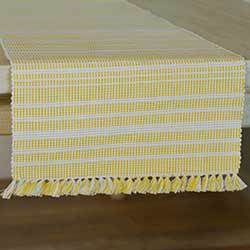 Mustard Like to be the Friend Wood Wall Decor, a Barbara Lloyd design for The Hearthside Collection. This box-style plaque reads: I'd like to be the sort of friend that you have been to me. Great gift for that special friend!